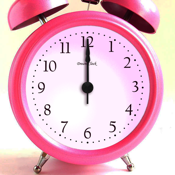 Tired of digital alarm clocks? Dream clock turns your iPhone into an analog alarm clock. Dream Clock created a new way to manage your alarms. It uses an analog clock to display, add and modify alarms. Just move your finger, and your alarm will be ready.